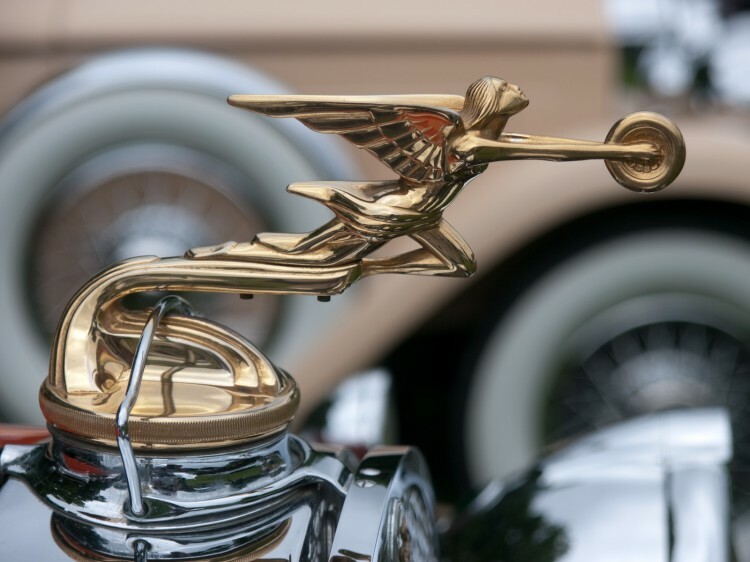 This past weekend I attended the 2009 Eyes on Design car show held at the Edsel and Eleanor Mansion in Grosse Point Shores, Michigan. The event is an annual affair and is a fund raiser for the Detroit Institute of Ophthalmology. This is the shows 21st year. Each year has a different theme and this year highlighted advertising and cars. Many of the cars on display had a framed advertisement for the vehicle next to it. It was interesting to see the way cars have been marketed through the years. 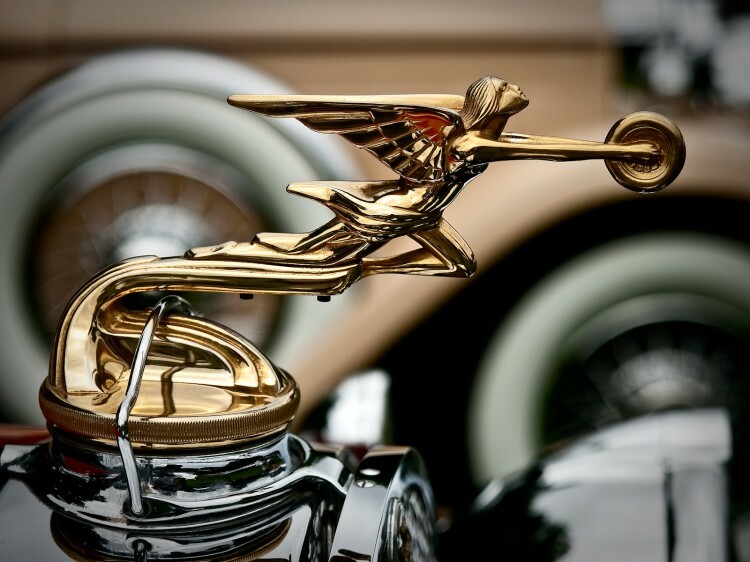 The image above shows a ‘mascot’ or hood ornament from a 1930 Packard 740 Roadster. What caught my eye with this particular ornament was the color. Most mascots that you see are chrome or crystal, this one looks to be brass. Whatever the material, it caught my eye. As I framed the shot, I noticed that the next car made an interesting background. I shot this from both sides and I liked the look of this one better. The car in the other angle was a grey/silver and didn’t go as well as this one. I did a little tweaking of the contrast, but that was about it. The majority of the work on this image was done in Adobe Lightroom. Please see some other mascot shots in my Hood Ornaments Gallery on ImageKind.